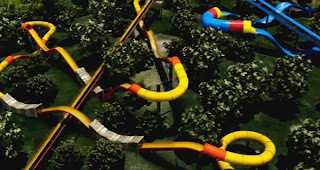 For those of you who like a challenge, be prepared to welcome the water rides that will accelerate your adrenaline racing. 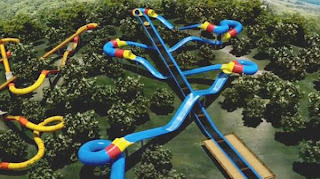 Arena tourist park "Holiday World & Splashin 'Safari" in Santa Claus, Indiana, United States, will present a water-coaster ride the longest in the world, called "The Mammoth". 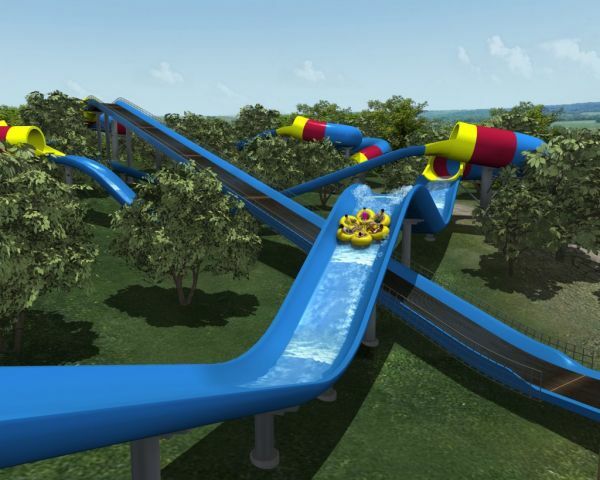 With production costs swallow up to USD9 million or Rp77 billion, a water-coaster of The Mammoth which has a length of 1763 feet (537.36 meters) will be opened in May 2012. 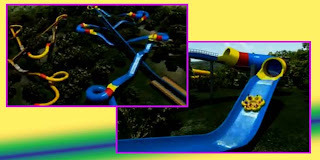 Using technology and harness HydroMagnetic Linear Induction Motors (LIMS), enjoy the thrill rides in The Mammoth is the tourists will use inflatable boats with a capacity of six people round and ready to glide from ketinggi 69 feet (21.03 meters) with a steepness of up to 45 degrees and traced five circles with a giant water-ciparatan splashes of water ready to wet the entire body. Overall, water rides The Mammoth spent three hectares of land. 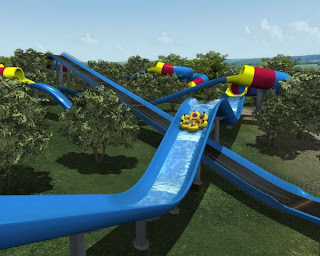 The Mammoth, will replace the predicate of a water-coaster ride The wildebeest's Holiday World & Splashin 'Safari is currently the longest water coaster in the world that has just opened three years ago. The wildebeest an altitude 64 feet (19.5 meters) has a length of 1710 feet (521, 2 meters), with a total time of sliding of two minutes 30 seconds. Thus, the mammoths will be 5 feet (1.5 meters) higher than that of the wildebeest and 53 feet (16.1 meters) longer. The Mammoth is also believed by the President Director of the park Holiday World & Splashin 'Safari, and Koch, will further attract more visitors from a record that has been recorded previously in 2010, namely 1.18 million visitors.